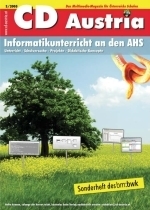 Computing in UK - ahs-informatiks Webseite! Computing is a foundational subject discipline that every child should have the opportunity to learn, from primary school onwards, just like maths or natural science. That is the vision of the new English National Curriculum for computing. This page collects together key links and resources to explain the vision, put it in its international context, point to major reports, identify key resources, and so on. Shut down or restart: the Royal Society’s Jan 2012 report was a watershed. The NextGen Skills report, a year earlier, was a key forerunner. Here’s a page with lots more national reports. The international perspective: national reports and rich curricular resources from other countries. Teaching creative computer science: this 12-minute TEDx talk gives the thinking behind the new computing curriculum. Code to joy, which appeared in the TES on 16 Jan 2015, is a 2,500 overview of the opportunities and challenges of the new computing curriculum. 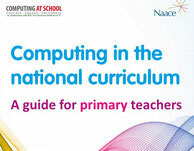 The Computing programmes of study: this 3-page document defines the national curriculum for Computing in England, for ages 6-16. It launched in Sept 2014. Decoding the new computing programmes of study: Simon PJ’s attempt to unpack the language of the POS. The original CAS curriculum for computer science, written in 2009, which was a key source document for the new programme of study. The CAS Network of Excellence, and the (substantial) status reports that we submit to the Department for Education. Here’s a summer 2015 state of the nation summary of progress and challenges. 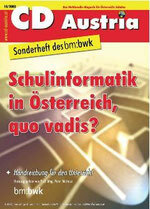 Switched ON, the remarkable termly CAS magazine, written by and for teachers. The current issue is always on the CAS home page.